If you are one of the millions of people who suffer from moderate to severe headaches and/or migraines then you know the toll it takes on your overall well being. Most Headaches can be Prevented and Reversed through Easy to Use Hypnosis Exercises. The research that hypnosis is effective for relieving and preventing headaches is highly positive. In this program you will learn proven methods for headache relief. You will have a unique opportunity to work with an expert in this program. Because headache relief is a subset of pain management, The Hypnosis Network chose Maggie Phillips, Ph.D., to make this CD. 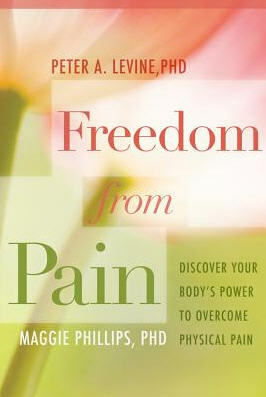 If your pain goes beyond headaches, then you also might benefit from the complete pain CD program. Maggie Phillips Ph.D. is known world wide as an expert in the field of stress and pain management and is often asked to consult with physicians to help their patients who are taking toxic levels of medications just to control their pain without significant relief. When using her techniques, many pain patients can often reduce dramatically, and sometimes even eliminate the need for pain medications (more about Dr. Phillips). This program consists of two basic sessions that you repeat until you have mastered the skills of recognition, interruption and prevention. In short, you will learn how to recognize the symptoms and thought processes of a headache so you can "nip it before it buds." Experience a Clear Head Risk Free. The Hypnosis Network offers a One-Year Money Back Guarantee: This program is uniquely effective, safe, and affordable. If you commit to this program, you will experience significant relief from headache pain or you pay nothing. Like all of our programs, we give you one full year to try it out. And if at any time you feel like it is not delivering the results promised, just send it back and we will refund you the full product price. Order The Headache Solution CD from Hypnosis Network for $39. Order online at http://hypnosisnetwork.com/hypnosis/headache_relief.php or call the Hypnosis Network toll free between 9 AM and 5 PM CST Monday through Friday at 1-888-332-6463 (international callers dial (+1)817-566-0050). "Hypnosis: The Headache Solution, by Dr. Maggie Phillips provides an easy and effective plan for managing headache pain. Her ideas and methods should be regarded as vital to include in any good self-help approach for headache sufferers." "Dr. Maggie Phillips has created an excellent program for the relief of headache pain. Dr. Phillips puts the control of the pain in the patient's hands, thereby empowering the sufferer... Giving a concrete explanation of what hypnosis is, Dr. Phillips takes the mystery out of the process, and introduces new options to relieve suffering. She specifically names the possible causes of headaches, and ways to combat them, while describing alternative ways of dealing with the discomfort. Her CD gives headache sufferers hope for a more optimistic and successful resolution of their pain."